I'm planning on making some bags for Christmas gifts so this would be lovely to win! I love the colorways and patterns. I love this line of fabrics! I've got a few chairs that could definitely use gorgeous fabric! Yay! I have three yards sitting at home and would love three more for curtains! I love the dusk colourway - we need more grey fabrics! Stunning! Bring on the fun! Love the fabric. Thanks for doing this giveaway. Absolutely gorgeous fabric. Thanks so much for giving us the opportunity to win some! Love the fabrics. Thanks for doing this giveaway. Some of my favorite fabric ever! Awesome giveaway! What a generous giveaway! I've been oohing and ahhing over this line ever since I saw the weekender bag pop up in Flickrland. :) I think 3 yards of this pretty stuff would definitely motivate me to try a challenging pattern! They are fantastic prints, I'd love to get a hold of some of them! ooohhh, the lovely things I would make with your fabrics! yay! i love the patterns and can't wait to make a new bag! wow, i am totally obsessed with all the patterns in the dusk colorway - would love to recover some chairs with any one of them. this is amazing! im usually into bright colors but i love the dusk colorway! Oh! I love your fabrics! And I hope I get picked up! Wow... love to have some of your fabric! Hello, I was given a sewing machine sometime ago and have finally got it up and running so would love some of these fabrics. great colors on great patterns! Love the patterns! Hope I win! fantastic giveaway! the patterns are to die for! I love this fabric and would LOVE some! Such a great fabrics! Thanks fot invitation! ach! This fabric pattern is amazing! I love, love, love it! so in love with the patterns in this fabric line! would love to get my hands on some! Pick meeeeee! I need some more of this line! Love the fabric!!! I think this would be perfect to decorate my daughter's room with. The Dusk colorway would go great in my kitchen... but they're all so fantastic! 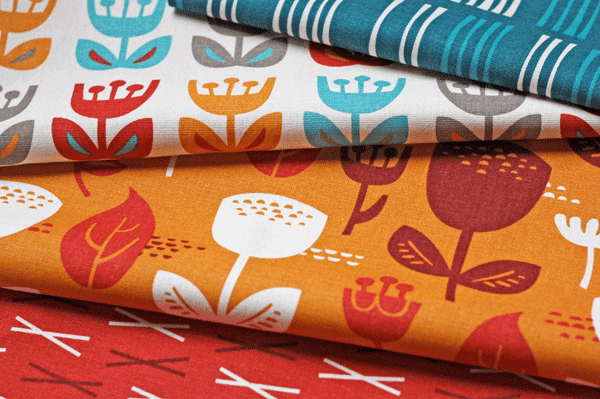 These are great fabrics... what a great giveaway. I really love the dusk colorway! I would love this fabric to be in my house! Pick me! Just bought 4 of ur ribbon designs....awesome! hoping to get some outside Oslo in this giveaway. I really love your fabric prints.... and would be sooooo happy to win some! I love all of your designs. What a fabulous giveaway! I would surely love to win some your amazing fabric. I love your fabrics - I'd love to use them for styled photo props! I've been meaning to make some throw pillows for my living room...and your colorways would look perfect with my decor! Fingers crossed! I see some great "boyish" prints that I'd love to get my hands on. 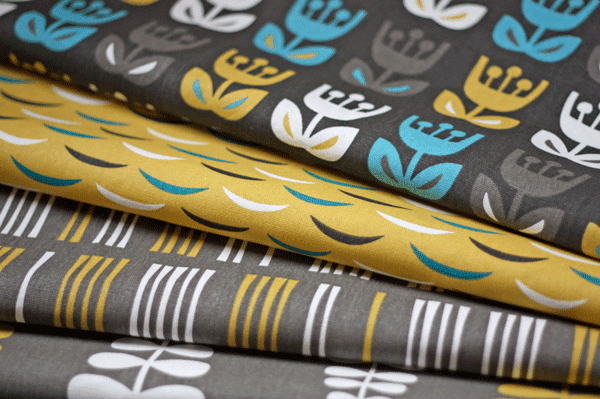 Please consider stocking your fabric at Bolt Fabric Boutique and/or Cool Cottons in Portland, OR! I love Outside Oslo and would love to claim some as my own. It'd be perfect for some of the project I've been eyeing for a while now. Thanks for a chance to win some. I've been meaning to make some throw pillows for my living room...and your colorways would look perfect! I've had my eyes on some of this fabric for a while now -- our kitchen chairs are begging to be recovered! I would love to win some of this beautiful fabric! Love that you're giving (10) ppl to win instead of (1). I'd use it as curtains. . or something for the home for sure! Love your fabrics, they would be great for so many projects! Oh, I love the Dusk color line. I've been dying to recover my kitchen chairs and the grey would go perfectly with my kitchen. Thanks for the giveaway. I'm so in love with the dawn colorway! So happy to see you teamed up with The Needle Shop. It's a great store! Would love to win some of your fabric. Oh my gosh, I would absolutely LOVE to win some of your fabrics, they are so beautiful. I've been lusting after the Dusk colorway because blue + yellow is my favorite color combo! I like to check fabricworm.com for cute fun fabrics, have you thought about selling to them? I think your fabric is lovely! I've been eye-ing these pattens for a long time! How wonderful - love the fabric!! One place I shop that might be interested would be Fancy Tiger in Denver, CO. Check them out! Your fabrics are gorgeous! Love them! Yay giveaway! I love your designs! love the line, in both colourways. I think that Fancy Tiger Crafts in Denver would love to carry your stuff! Absolutely beautiful fabric. I'd love to give my bookcase an updated look with it! I would love to win that fabric!! i've wanted this fabric since the first time you posted pictures!!! i keep loading it into my online shopping cart, but then the shipping kills me and i sadly close the window. really hope i win this!! Ooh, what a great giveaway! I love the dusk for my office! The dawn colorway is my favorite. Love it! Stone Mountain and Daughter Fabric store in Berkeley, CA would probably be interested (if they don't already have it). Thanks for the giveaway! wow... what a great giveaway... outside oslo has been on my "wish list" for a while now. What yummy fabrics! Truly unique and inspiring me to get crafty! Maggie.barber@gmail.com. Awesome! So many uses I could give this! The fabric is beautiful. It'd be hard to decide what to do with it! Gorgeous patterns and the colors are so perfect! Hmm, I wonder if my LQS would carry your fabric? They tend to have canvas weight, silks, Echino etc in addition to the regular quilting cottons. They're called Eddie's Quilting Bee in Sunnyvale, CA. That would be fantastic if they were there! These are seriously cute prints! I follow your blog now for quite some time and I absolutely love your designs!! I'm always looking for some cool fabric designs yet most of them are only sold in the states and I didn't want to repeat my odysseus with german customs yet again ... but maybe I should?! I would love to play with these!! I'd love to have some of these for my new nursery! Oh my, Jessica, I would love to win some of your gorgeous fabrics!! 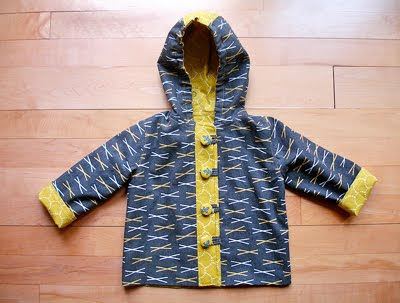 I really, really love this line, especially the Dusk colorway :) You can find me at naptimemartha(at)gmail(dot)com! awesome giveaway! i love your pattern designs! this is my favorite line! These fabrics are so amazing! I can't decide which one I like best, they are all so great! I love these fabrics. Hopefully you pick me. Oh! I have some chairs that need to be recovered. I love these fabrics. Hopefully you pick me! Mmm a sea of comments! Fantastic and very generous giveaway. I'm happy international commenters are welcome, since I'm italian :) Thank you for the opportunity. Great fabrics...this might be the motivation I need to whip out my sewing machine! I want....no I NEED some of that fabric!!!! I have been drooling over that fabric for some time now - would love to own some - love love the greys! I love your fabric designs, and since I'm just beginning to learn to sew, I'm not sure if your fabrics are available around Atlanta or not. I sure hope so!! I would love to have this prize! Love all the patterns. Would be great to get them in Germany too. I love the dawn series, so cheerful, so I'm totally giving this a shot! Outside Oslo is one of my favorite fabric lines to come out since I started sewing a few years ago. I would love to get my hands on more of it! Plus, recently ordered from The Needle Shop and was really impressed with selection and customer service. Great giveaway! Wow, awesome giveaway, thanks for the chance to enter! A great fabric line - love that it's in home dec weight! Oh my word! I am completely in love with the Dawn colorways! LOVE! pick me, pick me! I would LOVE to win! I just bought some of your dusk colorway to make a diaper bag, and I would love to round out the collection. Your fabric makes me happy! Thank you for the chance to win! I especially love Wildflower in Dawn. Too good to be true! Enter me please. ohhh my gosh! These patterns are FANTASTIC!!! I'm in love! Ooh, these look fantastic! Pick meee!!!! I love this fabric! I would love to win some! I think I'm in love with these patterns, although for some reason I'm irresistibly drawn to the dusk version of Sticks and both versions of fronds. I already know what I'd use the prize for if I won. What a fantastic giveaway! Outside Oslo is one of my favourite collections! That fabric would be great in a quilt! I have been lusting after your fabric for quite a while. And some of that orange fabric would be lovely on my chairs I need to cover. What a great give-away! i would love to win some of your fabric!i don't know how i'd choose just three. perhaps contact european textiles in hamilton ontario- they carry some designer fabrics and i'd love to see more. seriously love the colors and patterns!!! I love the fabric and patterns and would be more than excited to make some purses with it! Oh, I love this fabric line. If I don't win the giveaway, I need to see if The Stitch Lab in Austin sells it! I love these fabrics & would love to win! Thanks so much for a chance to win. Lovely! I'd love to use some of this fabric for some bags, as I did with some of your previous lines. Hope I win! The gray and yellow prints would make perfect bedroom throw pillows (which we desperately need). Yeah! I love these prints and the colors you used. I need new couch pillows with a fun punch of color and these would be perfect. Thanks for the chance to win! Love these. Can't wait to start whipping up some holiday gifts with these fabrics. Oh, these would really shine in my fabric collection! ADORE these fabrics! pick me! This is lovely stuff! Thank you for creating it! And thanks for the giveaway, too! You'll be making some people very happy! These are beautiful and I'd love some to play with. Thanks for the opportunity. I want to make a bag with this fabric line!!! Thanks for the giveaway! Ooh, fun. It was be hard to choose! I adore your fabrics! The patterns are amazing! Such a cool and generous giveaway! The projects on the Flickr pool are very inspiring. I'm already daydreaming about what I could make. I love the dusk colours! inyxelf4all (at) hotmail (dot) com. I already ordered/used a set of the fabric in the Dusk colorway...so would love to have some from the Dawn set to try next!! Beautiful prints!I love printed fabrics and yours are lovely!And I'm happy that also international readers can enter to this giveaway! :)Thanks. Mostly the dusk-colors. Yay! They are so beautiful and in my head, I have pillows, skirts,...with these colorful fabrics. Love the patterns & colours. Hope I win! 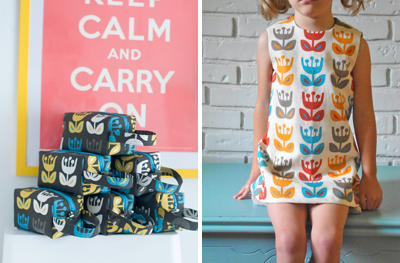 I've seen some awfully cute bags out of these fabrics & I'd love to try some! Some of these fabric would be so great in our babie's nursery! Love them!